Cover a cookie sheet with parchment paper. Place the squash chunks skin-side-down. Drizzle and rub with olive oil. Roast until soft, time will differ based on size of chunks (25-40 minutes). Allow to cool. Cover two gas grates with foil. Place the eggplant right over each grate. Use tongs to turn as each side gets charred. After each eggplant is completely charred, place into a colander over a bowl and allow to cool. Spoon the pumpkin off the skin, discard skin. Mash with a fork and place into a bowl. Remove the charred skin from the eggplant and discard. Mash the flesh on a cutting board, chopping and scraping it with the side of your knife. Add to the pumpkin. Sprinkle smoked paprika, sweet paprika, salt, cayenne, and pickled lemon. In a food processor with the metal “s” blade, pulse the jalapeño and garlic. Add to mixture. Mix well to distribute spices. Spoon over the couscous. Last evening Pomegranate featured cookbook author Susie Fishbein, who demonstrated some delicious Passover recipes. The demo was well attended by an enrapt audience, who got to enjoy some succulent dishes, following the cooking demonstration. She demoed three dishes: Chimichurri Steak Salad, Tershi in Pessach Couscous and Pulled Barbecue Beef Tacos. Pat the meat dry with paper towels. Set aside. In the bowl of a food processor(or mini chop) fitted the metal “s” blade, pulse the garlic and red onion . Add the parsley, lemon juice, vinegar, oregano, salt, pepper, and olive oil. Pulse again. Rub this paste all over one side of the steak. Allow to marinate while you prepare the salad. Place the salad greens onto a platter. Top with the kohlrabi, fennel, cucumber, peppers, and tomatoes. Toss. Sprinkle on the chopped lemon. Heat the oil in a grill pan. Add the steak, Sear for 6-7 minutes. Using tongs, turnover and sear on the other side for 7 minutes. Remove to cutting board. Allow to stand for 10 minutes, thinly slice on the diagonal. Arrange over the salad. In a small bowl, whisk the chimichurri dip, olive oil, and water. Drizzle over the salad. Garnish with chopped fresh parsley. This past Monday, October 28th, my co-blogger SYR and I attended the Pre-Kosherfest Kosher Feast 2013. It was held at J Soho -formerly Jezzebel (323 West Broadway, off Canal Street, New York, NY 10013 – Tel: 646,410.0717) – and was organized by Roberta Scher (Koshereye) and Esti Berkowitz (Primetime Parenting). The beautiful, contemporary, decor would have made it a perfect venue for the event. I seem to remember different faces in Leonardo Da Vinci’s original, I’m sure neither Woody Allen, nor Albert Einstein, nor Daniel Radcliffe and the others were there. Hmmnn… maybe my memory is just playing tricks on me? The evening started at 5:00 pm with networking and a wine tasting presented by the Royal Wine Corporation under the able guidance of Shlomo Blashka. Throughout the evening, both for SYR and I, the undisputed favorite wine was Pacifica‘s Cabernet-Merlot 2011. It shows blackberry, dark chocolate, toast and a hint of vanilla, on the palate it offers a soft structure with firm tannins, silky smooth and a long finish. The awardees were called out during the meal… Old friends, familiar faces and the faces behind famous names were just some ingredients contributing to the evening’s success. Awards were given to some of the pioneers in the kosher industry such as: Susie Fishbein, Laura Frankel, Norene Gilletz, David Herzog, Gil Marks, Lévana Kirschenbaum, Menachem Lubinsky, Joan Nathan and more. Old and new friends, good conversation, superb wines a perfect recipe for a meal and a memorable evening. Our guest on BlogTalkRadio.com/kosherscene this evening at 10:00 pm (Eastern Time) will be Chaya Rivka Zwolinski. She blogs at healthyjewishcooking.com. You may want to call in with any questions or comments at 714.333.3357. She is a ghostwriter, editor, and has doctored several books, as well as numerous ope-eds articles. Chaya Rivka writes for, both, adults and children and she’s trained/coached and edited a couple best-selling authors. Meanwhile, in case you missed it last week, please listen to our archived show with Susie Fishbein. It was a fun and informative broadcast you wouldn’t want to miss! Don’t forget to tune us in this evening for a fascinating talk at 10:00 pm (Eastern Time) with Chaya Rivka Zwolinski. We will talk about food, Chaya’s life journey and chassidus from the Bratzlav perspective. Don’t forget to call in with questions or comments at: 714.333.3357. We’ll be waiting for you! Tonight on Blogtalkradio we will be speaking with Susie Fishbein, at 10:00pm (Eastern Time). 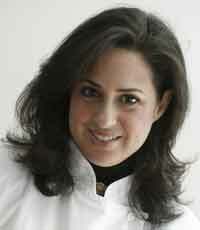 Susie is the author of the Kosher by Design cookbook series. As she celebrates the 10th anniversary of the first book’s appearance she just published her eagerly awaited eighth title (Kosher By Design- Cooking Coach). Susie Fishbein has been the featured celebrity guest on cruise ships as well as at week-long culinary adventures in Israel and Italy. She’s been profiled in The New York Times and CNN. The Forward has named her one of the 50 most influential Jews in America. Meanwhile, in case you missed it, why not listen to last week’s show with award winning cookbook author Jayne Cohen? Please don’t forget to tune us in, this evening at 10:00pm (Eastern Time). We’ll be wait’n for ya! With over 400 full-color pictures by the talented John Uher, 10 pictorial coaching sections and a cross referenced index of 120 new recipes, this 8th title in ArtScroll‘s Kosher by Design series, imparts essential skills, techniques, tips and tools to help us excel in the kitchen. Cooking Coach includes sections on essential kitchen equipment, why 3 culinary knives will do the trick, key tips on buying and preparing fish, meat, chicken and side dishes, and my favorite, an easy to follow playbook of recipe variations that help stretch the budget without being mealtime boring or left-over repetitive. The lay out is so picture laden and easy on the eye it could pass for an idiot’s guide to the kitchen were it not for its elegant descriptive content. I think what we all love about Susie most and what’s made her series such an enormous success, is her ability to deliver fool-proof recipes that are delicious and make us look like culinary heroes to our family and friends. In this latest cookbook, Susie wants to up the ante and move her loyal audience beyond the written recipe, teaching us essential skills to help us develop, discover and explore our own creative cooking abilities beyond the text and within our own selves; the ultimate gift of a true teacher. Bulgogi is Korea’s most famous street food. It is also served in homes and restaurants, prepared on tabletop hibachi-style grills. The key to this dish is slicing the meat paperr thin so it absorbs all the flavors of the marinade and cooks quickly. If you freeze the meat for 30-45 minutes out of it packaging in a piece of foil or parchment, it will be much easier to slice nicely. 1 head Bibb or Boston lettuce, separated into leaves. In a medium bowl mix the garlic, soy sauce, brown sugar, vinegar, Worcestershire sauce, and cayenne. Add the sliced steak. Toss and stir to separate the slices and make sure they are well coated. Allow to marinate at room temperature for 15-20 minutes. Heat 1 tablespoon canola oil in a large in a large skillet over medium heat. Remove the meat from the marinade and discard any remaining marinade. Sear the meat, in a single layer, allowing room between slices, you may need to do this in batches. If so, wipe out the pan between each batch and heat a bit more. oil. Don’t move the meat around. Get some good caramelization and then, using tongs, turn each slice over and repeat on the second side, 3-5 minutes in total cooking time. Roll 1/2 cup meat in a Bibb lettuce leaf. Repeat until all the meat is rolled. Transfer to a plate or a platter. In a small bowl, prepare the the clipping sauce. Whisk together the soy sauce, honey , ginger, sesame oil, and red pepper flakes. ** True Worcestershire sauce contains anchovies. If the kosher certification mark stands alone, then the percentage of anchovies is less than 1.6% of the whole product. Many rabbinical authorities say that this is okay to use with meat. If the kosher certification is on the label has a fish notation next to it, the level exceeds 1.6%; do not use it in meat dishes. Make a tasty ASIAN BEEF SOUP with your leftovers: In a soup pot, heat 1 tablespoon canola oil. Add 1 sliced onion, 10 sliced shiitake mushrooms, and 2 teaspoons fresh grated ginger. Sauté until the mushrooms and onion sare wilted. Add 6 cups chicken stock. 1/4 cup shredded carrots, a handful of pea pods, and 1 thinly sliced stalk bok choy. Bring to a simmer; cook for 10 minutes. Mix in 1 tablespoon soy sauce, 1/2 teaspoon roasted sesame oil, and 1 teaspoon sriracha chilli sauce. Chop the leftover bulgogi and add to the pot along with 2 scallions thinly sliced on the diagonal. It’s always interesting to see how fame re-frames a person. This past Tuesday eve – on the tenth anniversary of Susie Fishbein’s first book of her wildly successful Kosher by Design (published by ARTSCROLL) – the launching of her 8th cookbook (Cooking Coach) took place at Pomegranate Supermarket. Gavriel Sanders introducing Susie Fishbein..
As Albert Einstein once said: “I never teach my pupils; I only attempt to provide the conditions in which they can learn.” Susie ‘s latest features easy to follow step by step pictorial Game Plan covering essential equipment, stocking one’s kitchen and key essentials for prep and cooking of meat & poultry, fish, salads & soups from appetizers through desserts. Cooking Coach has a well-organized Playbook detailing creative makeovers for yesterday’s leftovers to new alternate dishes bearing but a dash of resemblance. Fellow bloggers and members of the press sampled Playbook in action as Susie demoed onstage; ground turkey sautéed with frozen spinach transformed into three wonderful fresh dishes: Turkey Taco Eggrolls, Turkey Stuffed Mushrooms and a terrific pasta penne dish using Pomegranate’s own Marinara Sauce. Gavriel Sanders, Artscrtoll‘s publicist for the Kosher by Design series, mc’d and fielded questions from the audience, delivering a seamless media event. Pomegranate was the perfect host and venue for this private media reception. Susie signed copies of the complimentary Kosher by Design Cooking Coach that the evening’s participants received in their swag bag along with complementary products from Pomegranate. A full review of Susie’s new cookbook will be featured here next week along with a recipe. Thanks to Susie Fishbein and Pomegranate for a most delightful evening and an exciting new cookbook to reach for, until we intuitively ‘get it’ and need but reach within. Last week we had a very interesting and informative show with OSEM USA‘s President Izzet Ozdogan. The guest called in late due to circumstances beyond his control, but we still managed to get 20 minutes of the company’s history and how Israel’s own history impacted on it. We spoke about their exciting new kosher for Passover products and some of the company’s all year round iconic products. If you missed it, you can hear the show right here (scroll down that page to: On Demand Episodes). This coming Wednesday, The Kosher Scene Show’s guest will be Paula Shoyer. She appeared on our original radio show and you can still hear the archived interview. A 1996 graduate of the Ritz Escoffier Ecole de Gastronomie Française in Paris, Paula Shoyer owns Paula’s Parisian Pastries Cooking School in the Washington, DC. area. She recipe tested and edited Susie Fishbein‘s Kosher By Design Entertains and Kosher By Design Kids In The Kitchen. Paula is also the author of the brand new book The Kosher Baker. Not only is this a beautiful tome, the attention to detail in its execution, the direction given in the recipes, make its publication an unparalleled event among kosher cookbooks. This time, Chef Paula will talk to us about Pessach baking, we hope you will listen to what promises to be an informative, entertaining and mouthwatering show. Please tune us in, at 8:00pm Eastern Time tomorrow evening, Wednesday, the 30th of March. We’ll be expecting you, gentle reader. Give it a try, you’ll like it!